Lithium-ion-based battery can fully charge a 12-inch MacBook. 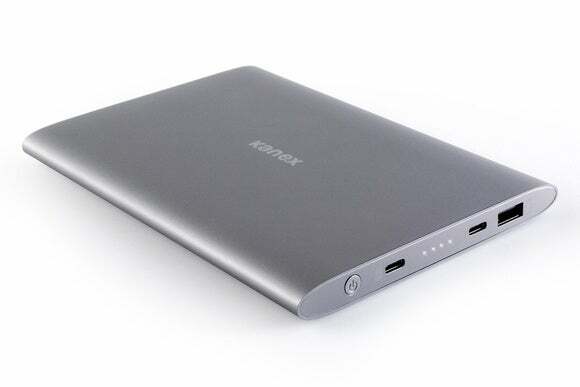 You might be mistaken if, at first glance, you thought the Kanex GoPower USB-C Portable Battery ($93.25 on Amazon) was an Apple product. It has a sleek, finished-aluminum, rounded design with minimal labels. 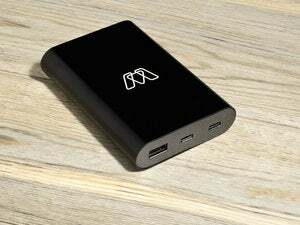 It’s much flatter than any of its competing USB-C equipped packs because the maker uses a lithium-ion polymer that can be shaped, rather than relying on cylindrical battery cells. The 15000mAh (56Wh) battery also performs as well as some with much higher-rated capacity, because there’s typically less electrical loss with a polymer battery than with the wiring connections required for commercially produced battery cells. The GoPower achieves nearly the same result with 15000mAh as the top-rated Anker PowerCore+ with 21000mAh: it charged a MacBook by 33Wh (the current “full” level) with enough charge left over to recharge a 9.7-inch iPad Pro from 60 to 67 percent—another couple watt hours. The LEDs on the GoPower didn’t seem well calibrated. The number lit decreased rapidly from four to one by the time the pack had reached just half the amount of power it transferred into the MacBook. It remains with one solid LED while recharging the iPad Pro. That will be confusing when you’re trying to gauge how much capacity remains. I liked the GoPower’s clearly labeled ports, a nice contrast to many other packs. 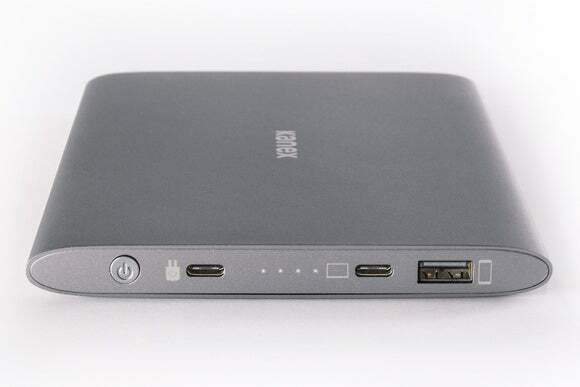 A plug icon appears next to the USB-C input port, a laptop screen next to the USB-C out, and a mobile device next to the Type-A port. At $100, the GoPower is $40 more than the Anker for slightly less capacity and one fewer port (one Type-A 2.4A port instead of the two with the Anker). However, it does include two USB-C cables, one for connecting to a MacBook for power (it’s comparable to other high-quality USB-C power cables I tested), and another to charge using USB-C to Type-A. That offsets the price differential slightly. 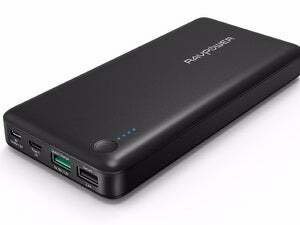 The GoPower has a one-year warranty for the original purchaser only.